Dr. Renée Steenbergen is an independent advisor, research fellow, author and curator on private collecting and (Arts) Philanthropy and is based in Amsterdam, The Netherlands. 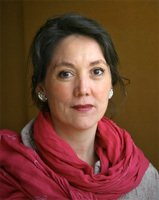 Steenbergen is a senior research fellow Arts Philanthropy & Donor Behaviour at Utrecht University. Her mission is to develop a Research Centre for Donor Behaviour and Motivation. Renée also advises de Raad voor Cultuur (the advisory board to the Ministery of Culture) and arts organisations (visual, performing and litarary arts) about strategies to stimulate individual giving and is a consultant to private collectors and individuals who intend to support the arts. Steenbergen has organised several exhibitions about private collections and published extensively on the subject. Starting in 2017, Renée is the editor in chief of a Dutch magazine about fundraising and developed a new format for it. She writes columns and research articles about trends in fundraising, relationship management and donor behaviour. Renée is a frequent and enthusiastic speaker about private funding for the arts and about art collecting, and an experienced moderator. She is a regular contributor to the Dutch national newspaper NRC Handelsblad on cultural issues and has written a series of essays for exhibition catalogues on collecting and patronage for the arts. MA Art History of the Modern Period and BA Classical Archaeology at University of Amsterdam. Editor of a scientific publication on Arts Philanthropy and Donor Behaviour in Europe, with essays by 12 academic researchers from 6 European countries (in preparation). Author of a new book on Arts Philanthropy, based on field research in the cultural sector. Working title: The Politics of Donating for the Arts (in preparation). New Motivational and qualitative Research at Utrecht University, focussing on private foundations as game changers in the transitory welfare states in Western and Northern Europe, as well as on junior circles of young benefactors for the arts. Research and publication about the national VSBfonds at it's 25th anniversary. Analysis of the changes in it's funding strategy. With publication. Research Fellow at Utrecht University: part time research project 'Arts Philanthropy and civil society in Western Europe at a time of recession 2008 to 2013'. Strategic coach and consultant for the private art society Maatschappij Arti et Amicitiae in Amsterdam for their 175th anniversary in 2015. Strategic Coach for the Muziektheater Amsterdam for the development of the fundraising department, the marketing & communication department and the hospitality department. Strategic advise for the Tropenmuseum Junior, the internationally successful children's and family museum wing of the Tropen Museum in Amsterdam. Development of new research concerning the influence of the economic crisis on patronage for the arts. With the support of the Mondrian Foundation. External advisor to the Grachtenfestival for music events on and around the Amsterdam grachten. Developing a fundraising track for major donors. External advisor to the Maritime Museum in Rotterdam. Development of long term individual giving in cooperation with the benefactors of the museum. External adviser to the Stedelijk Museum Amsterdam on committing private collectors to the new Stedelijk. Advisory report (November 2005). External advisor and guest curator for the newly opened museum for private collections, De Fundatie in Zwolle. Secretary of Audit committee of Rabobank Nederland art collection. Internal report assessing and discussing the future of the Rabo collection. PhD research into Dutch private art collectors: Anything costing that much is priceless. Art collecting in The Netherlands. Ancillary research post at University of Amsterdam. Commercial edition of PhD thesis: Iets wat zo veel kost, is alles waard. Verzamelaars van moderne kunst in Nederland (Anything costing that much is priceless: Collectors of modern art in the Netherlands: Amsterdam, Vassallucci 2002). • Study into the effects of the Temporary Purchase Subsidy Regulation (TASR) on the formation of collections in 32 Dutch museums, Collectie Nederland (report). Editorial advice and research for the television programme Kunstwerk (Artwork). Member of various museum acquisition committees, juries and local and national government advisory panels, including Mondrian Foundation (chair Interest Subsidy Regulation Committee), member of various private funds. Speaker and moderator at congresses, corporate symposiums, annual meetings of business clubs and meetings of societies of fiends of museums. Subjects: the art market; art collecting; patronage; financing of art. Assignments for Stedelijk Museum Amsterdam, Cercle Caulois in Brussel, King Badouin Foundation in Brussels, Stichting Promotors Van Abbe Museum, VNO-NCW, Tefaf international art fair, Merrill Lynch private banking, Goldman Sachs international, Rabobank Nederland, ING Private Banking, Theodoor Gilissen Bankiers, Sponsoren Singer Museum, Teylers Museum, Museum Beelden aan Zee, Frisia Museum (now Scheringa Museum), Rijksmuseum Twenthe, Aboriginal Art Museum, University of Amsterdam, University of Leiden, Amsterdan Congress Organisation etc. Regular contributor to Het Financieele Dagblad (the Dutch Financial Times) about art markets, private collecting and patronage. Regular writer for NRC Handelsblad (daily newspaper). Originally as art critic, since 2002 as investigative reporter. News reports, interviews, reviews, book reviews, in-depth reports, background articles and opinion pieces for the Cultural Supplement (gallery column from 1987 to 1997) and art pages, book section, and recently also for the Economy section and the Science supplement. Series of portraits of Dutch collectors, first in Kunstblad, since 2003 in Kunstbeeld. Since 1989: Analytical pieces about art in bundles, monographs and museum catalogues. In addition, journalistic contributions to various Dutch and English art magazines, including Archis, Flash Art, DutcH, Jong Holland, Kunstbeeld, Ons Erfdeel, het Veilingtijdschrift, De Witte Raaf, and pieces for diverse corporate publications. Guest researcher for the planned, large scale exhibition Four centuries of private collecting in The Netherlands at The Nieuwe Kerk Amsterdam. Researcher for the exhibition Jewish Patronage in The Netherlands 1850-2000, opening in the Jewish Historical Museum in Amsterdam in spring 2010. Co-author of the catalogue Jewish Patronage. Collated research for exhibition of artists initiatives at Rijksmuseum Twente (with publication). Guest lecturer on Collecting and Patronage at the Vrije Universiteit (VU) in Amsterdam and the Universiteit van Amsterdam (UvA). Guest lecturer at University of Amsterdam and University of Leiden (Art History, Art and Cultural Sociology and Cultural Studies). Lectures and supervision of research into cultural heritage, collecting, art criticism and PhD research. Research coach. Parallel to own PhD research, supervision of fifteen trainees and supervision of content of research for various MA theses about collecting and patronage.